The Thermometer Scarf Shows The Actual Temperature! 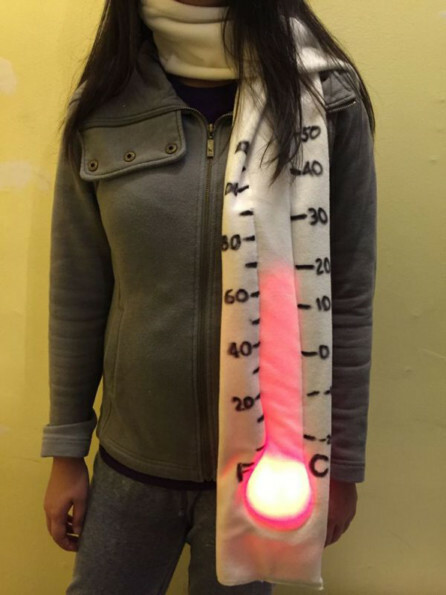 Check out the Neopixel Giant Thermometer Scarf created by Instructables user caitlinsdad. It’s a scarf equipped with a digital thermometer, Arduino controller, plus some LEDs that glow to show the current temperature. Clever! That said, I’m not sure that knowing the exact temperature is necessary. There are only two temperatures that matter! Scarf weather and non-scarf weather. Yes. It really is that easy.